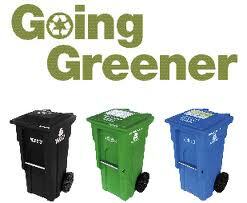 Many US schools are taking part in recycling competitions in order to promote recycling behavior among their students. Last year, Keep America Beautiful conducted a nationwide Recycle-Bowl for all the schools in the US. Many US states actively participated in this contest, and Grant Elementary School was given the honor of the most eco-friendly school in the Nebraska region. According to the organizers of the Recycle-Bowl, the schools in Nebraska region participated in the contest with a lot of enthusiasm. Statistically, approximately 100 schools from the state of Nebraska participated in this competition. The representatives from the organizations, Keep Fremont Beautiful and Keep Nebraska Beautiful, were very happy that the schools from the state contributed a lot towards the competition. As a matter of fact, they personally congratulated the school authorities of Grant Elementary School by attending their prize ceremony. According to Sue Reyzlik, the Director of the Keep Fremont Beautiful organization, the fact that a school from Fremont won the state award for its eco-friendly initiatives is a matter of pride for the organization. She feels that the school authorities put in a lot of effort to plan their recycling schedules in order to win this competition, and she is glad that their efforts paid off. The teachers at the school ensured that all the students would dispose their waste materials into the appropriate waste bins. At the end of the day, the fourth graders at the school would collect the waste from all the classes, and then weigh it. The school weighed the waste everyday so that they could determine how much waste they were recycling per student. Greg Borland, the Principal of the school, stated that the students and the teachers at the school planned their entire recycling schedule for this competition. The students recycled all their waste materials such as paper, plastic bottles and trays, and cardboard pieces into eco friendly promotional items. This competition lasted for a span of two months, and according to Borland, the school was able to recycle close to 1,900 pounds of waste during this time. The students from the school stated that they had a lot of fun collecting the waste and weighing it. As a matter of fact, the students have decided to continue the same recycling routine even though the contest is over.